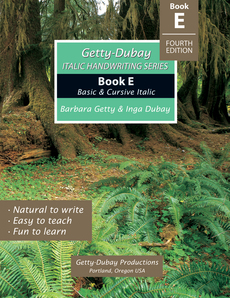 The Getty-Dubay Italic Handwriting Series contains everything you need to teach legible handwriting to students of all ages and skill levels. 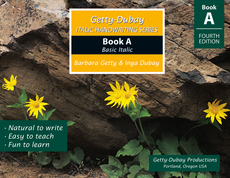 Even if you’ve never taught handwriting, you’ll find the Getty-Dubay method easy to teach, with helpful tips and creative practice materials that engage a student’s natural curiosity and thirst for learning. 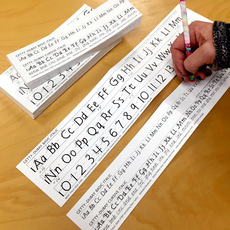 Its unique “Look-Plan-Practice” approach to self-assessment enhances legibility while empowering students, encouraging responsibility for their own progress. 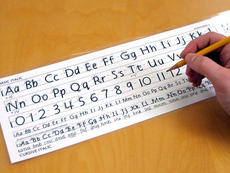 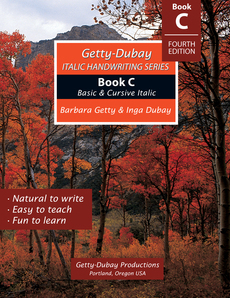 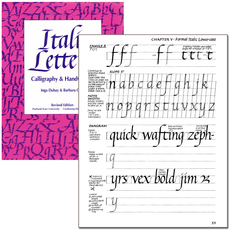 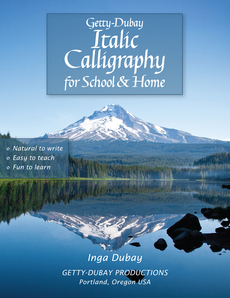 Lessons begin with Basic Italic handwriting in workbooks A-C and continue to Cursive Italic, beginning in workbook C. Learn more about Basic and Cursive Italic here. 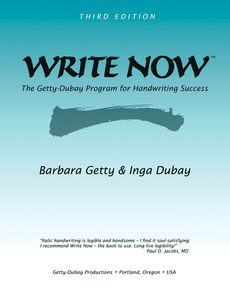 Barbara Getty and Inga Dubay have conducted handwriting seminars nationally and internationally for both adults and children. 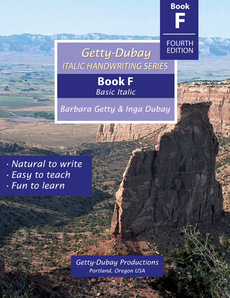 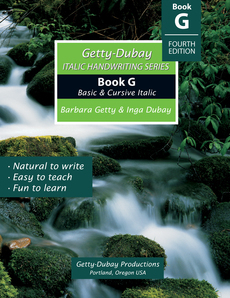 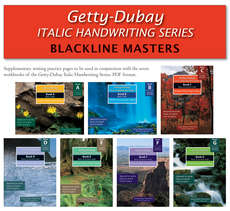 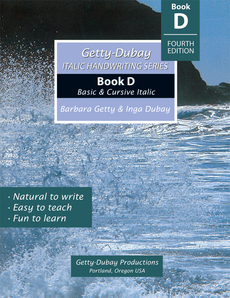 They are co-authors of the Getty-Dubay Italic Handwriting Series, WRITE NOW: The Getty-Dubay Program for Handwriting Success, and Italic Letters: Calligraphy and Handwriting. 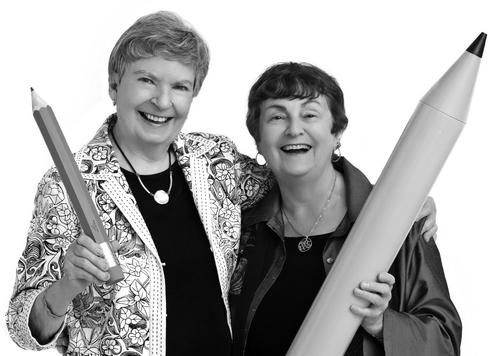 They have been featured in numerous publications including The Los Angeles Times, The New York Times, The Wall Street Journal, and The Washington Post as well as on media networks such as ABC, CBS, CNN, NBC, NPR and PBS. 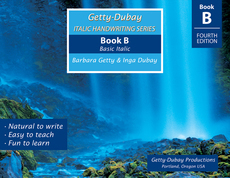 Please follow their facebook page for more information.